Garden Party Flowers and I have known each other and worked together for more years than I can count (hint: it’s in excess of two decades!). 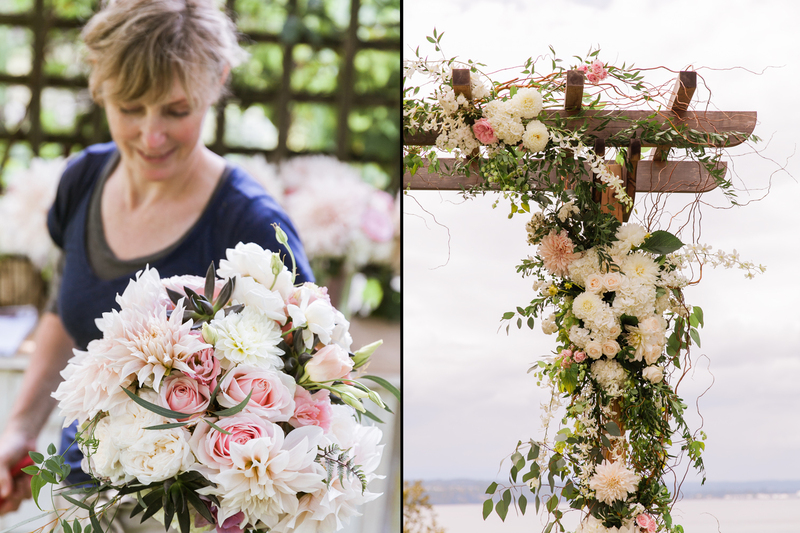 She is a florist serving the entire Seattle and Puget Sound area. TJ is one of the most creative people I know, and consistently turns everything she touches into something special. 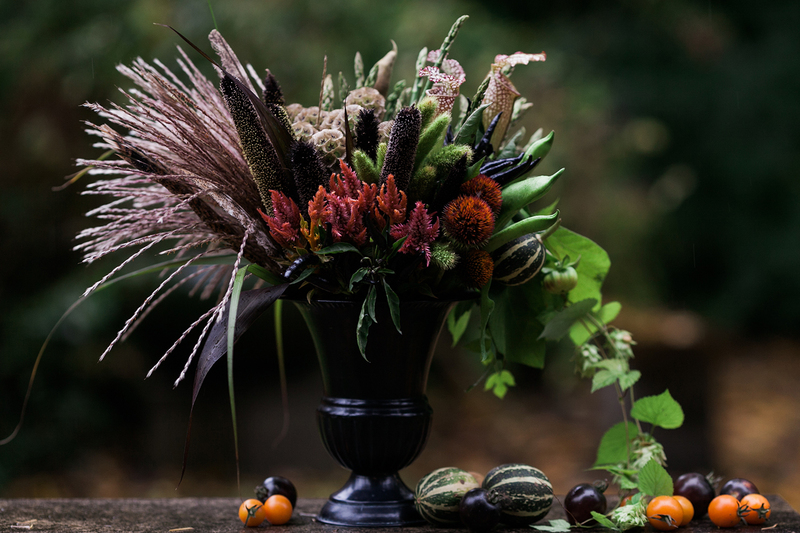 Every week, she delivers new creations to grace the halls of the Seattle Art Museum, and is consistently voted one of Seattle’s Best Florists. 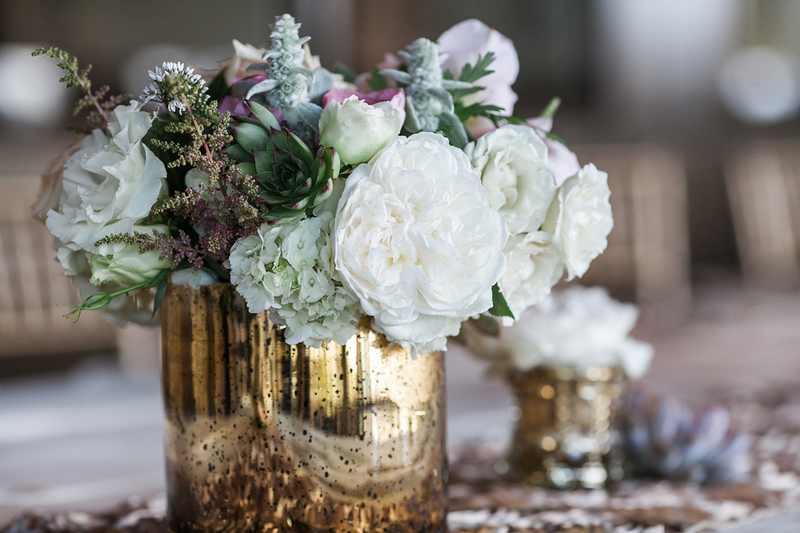 It’s true–she does simply the most exquisite wedding florals around! 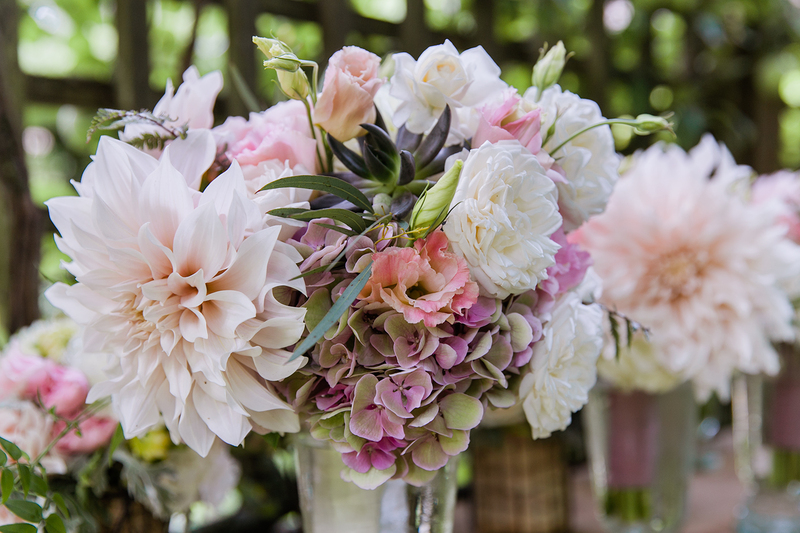 I always know a wedding designed by Garden Party Flowers will not only delight the entire wedding party, it will be a joy to photograph. 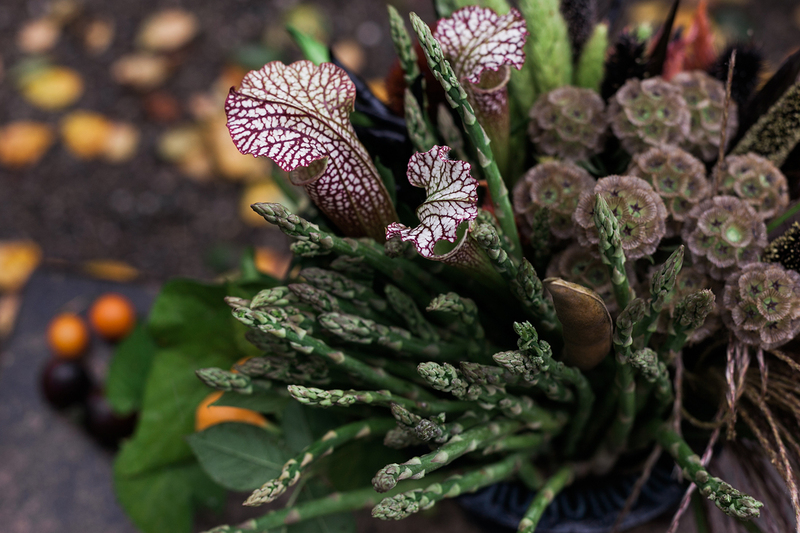 To ensure an authentic Northwest feel, she grows many of the flowers she uses at her home and garden on Bainbridge Island. Look closely at how asparagus is allowed to express its subtle beauty in a richly bold arrangement. A study of abundant grace–it’s an upright cornucopia! 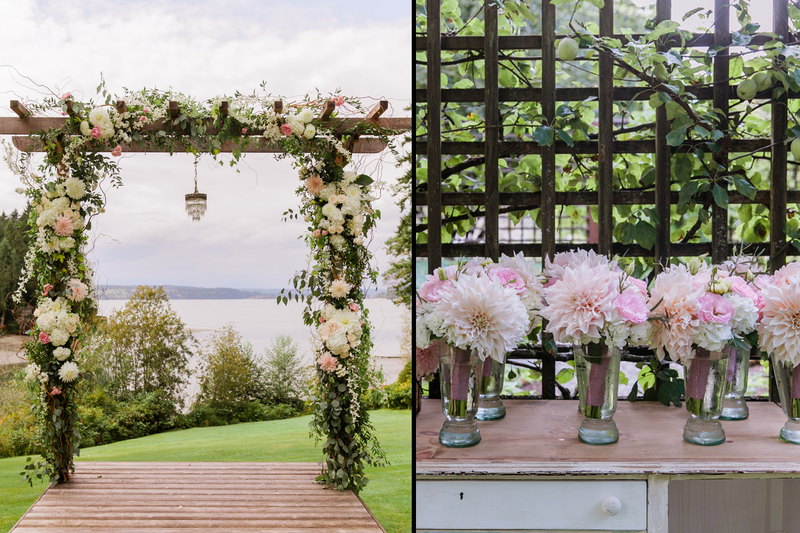 A nod to the Pacific Northwest: giant “latte” dahlias, hydrangeas and roses. Summer defined. 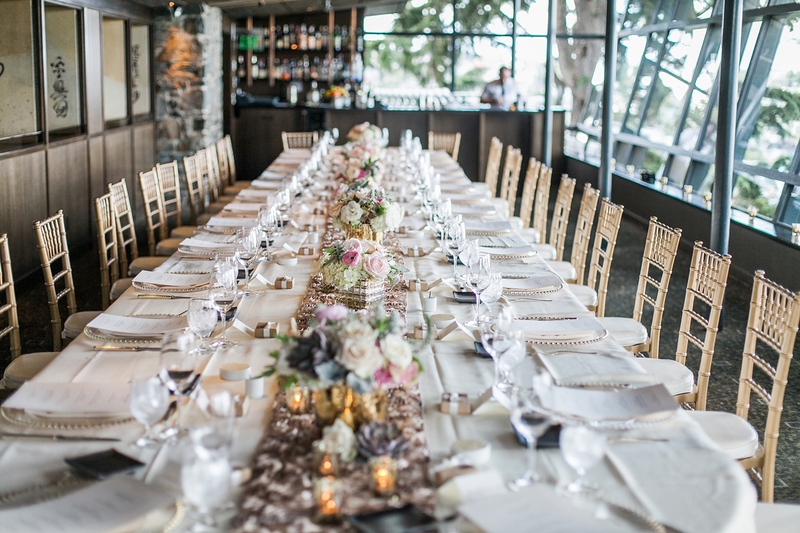 A Canlis wedding tablescape echoes the golden hues of the room, while bringing a real “garden party” inside. 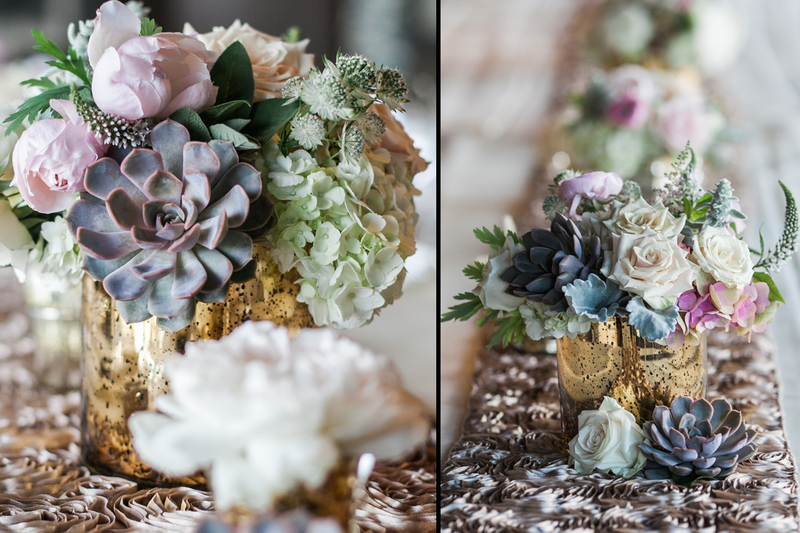 The incorporation of succulents is complimentary to the design foundation, and aren’t used just because they are “on trend.” And, of course A Canlis wedding is never out of style. 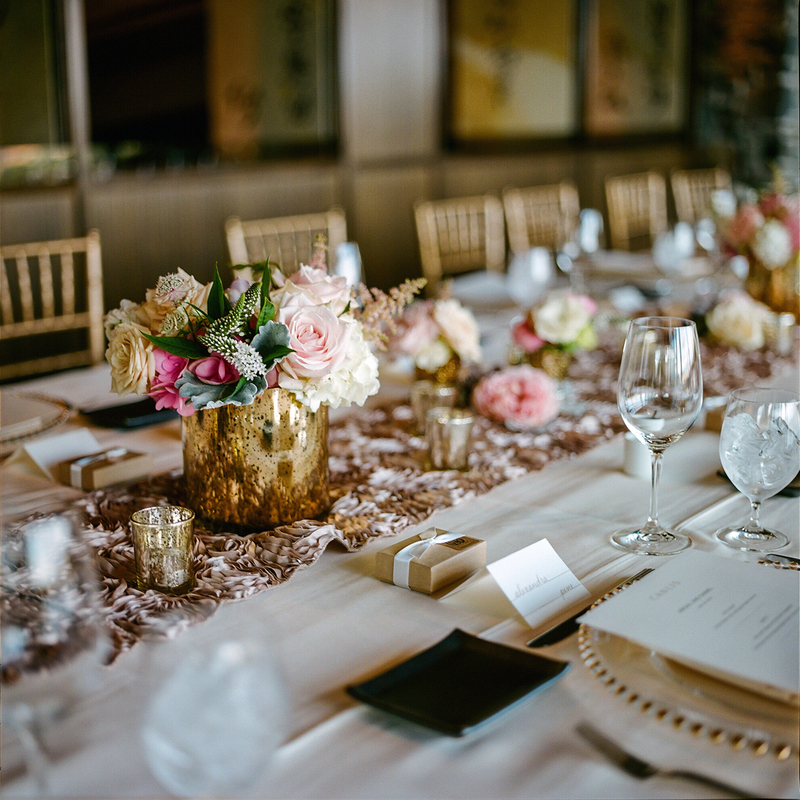 In an industry where trends quickly come and go, Garden Party Flowers consistently provides steady, classic appeal with relentless style.